The Great Detective meets Jethro Dumont! The story begins with a story of the new Green Lama, Jean Ferrell. Jean begins to read a story of her illustrious predecessor, Jethro Dumont. Jethro is in London and is sought out by Sherlock Holmes. A cult of green-robed assassins is menacing the city. They are lead by a man called The Heir. 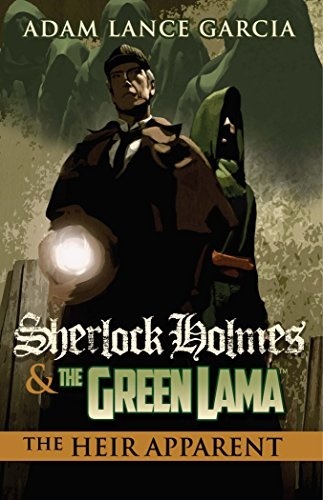 The Heir is seeking to destroy Dumont, whom he refers to as “the imposter.” The Heir believes the mantle of the Green Lama is his birthright! Adam, you let me down a bit with this one. It doesn’t have the usual pop of your Green Lama tales. I’m not sure exactly what the trouble is, but I probably like this one the least. It just doesn’t feel right. I’m sorry, my friend.